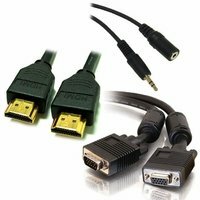 We carry a full line of HDMI cables, VGA cables, USB extensions, 3.5mm stereo cables, power adapters, and more. 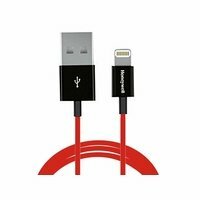 Our cables are made from high quality materials and are designed to last - without the heavy retail store markup! 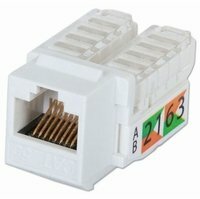 Pick from our cables below and be sure to check the computer cables section for more selections. 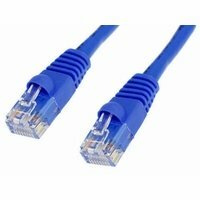 What are computer cables used for? 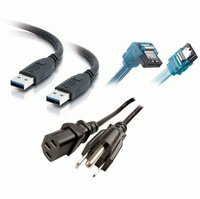 Computer cables is a diverse category. 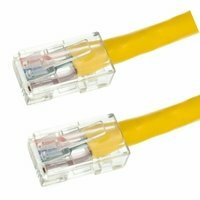 Most often they are used to connect external hardware and separate devices to the system itself, but there are also important internal cables that aren't accessed as much. 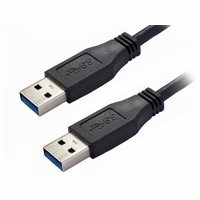 For the external cables you'll use DVI, DisplayPort, VGA, or HDMI cables to connect your monitors, USB 3.0 cables for the latest peripheral devices, Ethernet for your network and modem connections, and then there are other miscellaneous sundries such as Thunderbolt and FireWire for large external storage, serial and parallel for legacy devices including printers scanners and other similar technologies, and even audio cables, which could include the normal 3.5mm audio, 6.3mm audio, or banana plug cables. Internal cables are mostly for connecting drives or powering hardware, so they are usually limited to SATA cables and Power Supply cables. 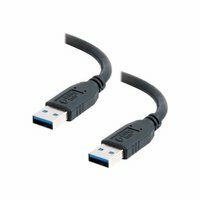 What cables do I need for SSD? SSD's generally use latest connection specification, so for the best results you'll need to get a SATA III or SATA 6GB/s cable to connect your drive to your system. 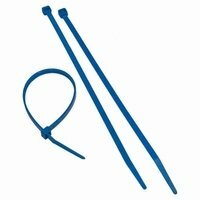 What cable do I need for dual monitors? The cables you'll need for dual monitors are either VGA cables, DVI cables, HDMI cables, DisplayPort cables, or possibly even Thunderbolt cables. This mostly depends on the connections your system has available, and what connections your monitor supports. 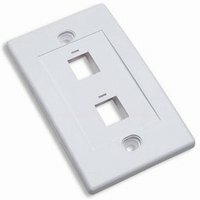 If you haven't purchased a monitor yet, be sure to get one with the same connections as your system for a much easier installation process. 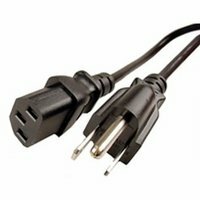 If you already have a monitor, but it is equipped with a different connection than your system, we most likely have an adapter that will fix this issue for you. 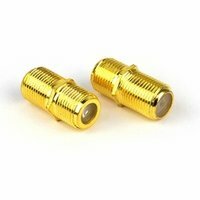 Feel free to check out our Video Adapters section if this is the case.